A startling court testimony during the trial of Eve Carson, the University of North Carolina student president brutally murdered by two thugs in 2008, has revealed she pleaded for her life and even asked them to pray with her. 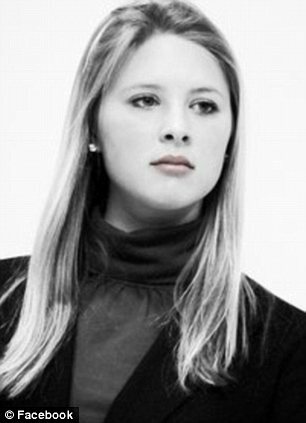 Eve Carson from Athens, Georgia, aged 22 at that moment, was kidnapped as she left the library on March 5, 2008 and forced to take out money from an ATM before she was shot five times. Jayson McNeil, of Durham, an acquaintance of the two men accused of killing Eve Carson, said in court yesterday that he was told what happened. He said he was called by Laurance Lovette Jr., shortly after the arrest of his alleged cohort, Demario Atwater, who has already pleaded guilty in the killing. 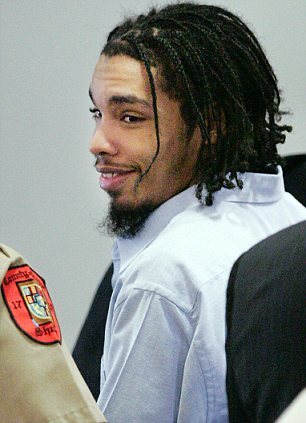 Laurence Lovette Jr., 20, of Durham, has pleaded not guilty to kidnapping, robbing and murdering Eve Carson. Jayson McNeil testified that Eve Carson was walking to her car in the early morning hours of that night when the attackers “rushed” her. The attackers then stuffed her in the back seat of her car and took a terrifying trip to an ATM to withdraw $700, the daily limit. Jayson McNeil said in court that from the beginning of the ordeal, she begged her attackers not to kill her. But despite her pleas, Eve Carson was shot four times with a .25 calibre pistol. Then came a blast from a sawed-off 12-gauge shotgun to her right temple, leaving a large gaping wound to her head and the hand she used to try and shield herself from the shot. During his opening statements at the trial, Orange County District Attorney Jim Woodall said the final shot was “instantly fatal”. Eve Carson’s body was left where she fell, in the middle of a residential street near the university. After the murder, the two attackers allegedly continued to return to ATMS, withdrawing the $700 from her account each time. Eve Carson was the university’s popular student body president and a recipient of the highly regarded Morehead scholarship. 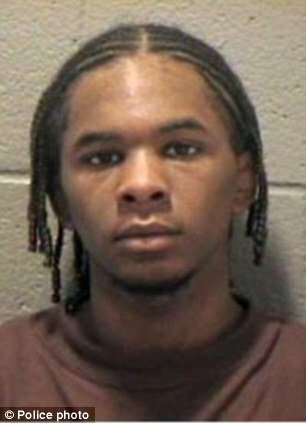 The North Carolina News & Observer reported that Jayson McNeil was a crack dealer at the time and was known in the area for having easy access to cars. He is testifying against Laurence Lovette in exchange for a lighter sentence in a federal drug case. Demario Atwater pleaded guilty last year and was sentenced to two life prison terms. Laurence Lovette will not face the death penalty if convicted because he was a minor at the time of the shooting. He could face life in prison. Jurors winced last week as they were shown crime-scene photos of Eve Carson’s bloody body, which was discovered by a Chapel Hill police officer who responded to a 911 call reporting the sound of gunshots and a woman’s scream shortly after 5:00 a.m. Shell casings lay on the asphalt near the body. Eve Carson wore a gold locket around her neck. On her left wrist, she was wearing a paper bracelet she got earlier in the week at a Tar Heel basketball game, emblazoned with the phrase “Be True”. Laurence Lovette’s DNA was found on the inside door of Eve Carson’s Toyota, according to the prosecutor. Jim Woodall said Demario Atwater’s girlfriend will testify to the jury she was with Laurence Lovette as he disposed of pieces from the small-calibre handgun he used to shoot Eve Carson in the cheek, arm, shoulder and buttocks. Parts of that gun, including the barrel, were later recovered and matched to two bullets pulled from Eve Carson’s body. A man was also captured on surveillance footage using Eve Carson’s card at an ATM. Jim Woodall said the clothes and distinctive hairstyle of the man in the video will identify him as Laurence Lovette. In her opening statement, defense lawyer Karen Bethea-Shields conceded that Laurence Lovette knew Demario Atwater and that the prosecution will have evidence connecting her client to Eve Carson’s car. But she denied Laurence Lovette was with Demario Atwater when he shot Eve Carson with the shotgun. Many of the witnesses for the prosecution will have criminal records and motives to lie, she said. “There’s no forensic evidence to connect Lawrence Lovette to the killing of Eve Carson,” Karen Bethea-Shields said. She predicted to the jury that the prosecution’s case will leave them with more questions than answers, which she said will add up to reasonable doubt.